This lunar new year learn to harness the power of red monkey for, according to Chinese zodiac, this year belongs to him. Chinese zodiac, known as Sheng Xiao, is based on a twelve year cycle. Each of these years represents an animal like rat, ox, tiger, rabbit, dragon, horse and so on. Like human beings they have their own strengths and weaknesses. Depending on the year you are born, you are advised to nurture your good qualities and slowly relieve yourself from the ones that are holding back your progress in life. White stands for blazing energy, something that resonates with a monkey. But it requires tempering. Hence, the introduction of calming blue. You do not need to completely overhaul your house while trying to incorporate these colours. Show tact. Paint a single wall that may act as an accent wall, upholster the old sofa, change the cushion covers, buy a fresh rug or embellish your room with eye catching decorative pieces in blue and white. You may also change the lamp shades in a subtle bluish tint. Studio Marcelo Brito only changed the soft furnishings and area rug to get the desired effect. Monkey has a sociable personality. Whether you are born in a monkey year or not, you will be blessed for having a hallway that is amiable. Besides, it is that area of your building or apartment that is first seen by the guests. Having an inviting space will immediately put your guests at ease. I am sure on this festive occasion you are going to receive many of your close friends and relations at home. Show them your ingenuous side by gracefully decorating this area. A beautifully framed photograph, painting or mirror coupled with a simple console table or bench will instantly give this space a major upliftment. Do not forget to place a glass jar full of fresh flowers, some aromatic candles or simple lamp on the table. If possible hang a chic pendant lighting to brighten it up further. Metallic elements not only reflect the spirit of monkey but also successfully entrap energy. Introduce metallic elements in your reading room, home office, kitchen or living room. You may consider having shiny metallic tables, shelves, decorative features or storage units with mirrored surfaces. However, do not use such metallic objects in bedrooms, children’s room or any other place meant for resting. Do not go overboard with the use reflective surfaces either. Instead of properly balancing the energy it may cause additional stress. Excess of reflective surfaces make people unduly image conscious. Think of the mirrors in your office elevator, and you would get the picture. In eastern culture, gold is considered highly auspicious. It is used to ward off negative energy and welcome home happiness and prosperity. Golden ingot, shimmering gold tone paper note, golden thread etc are exchanged during this festive occasion. 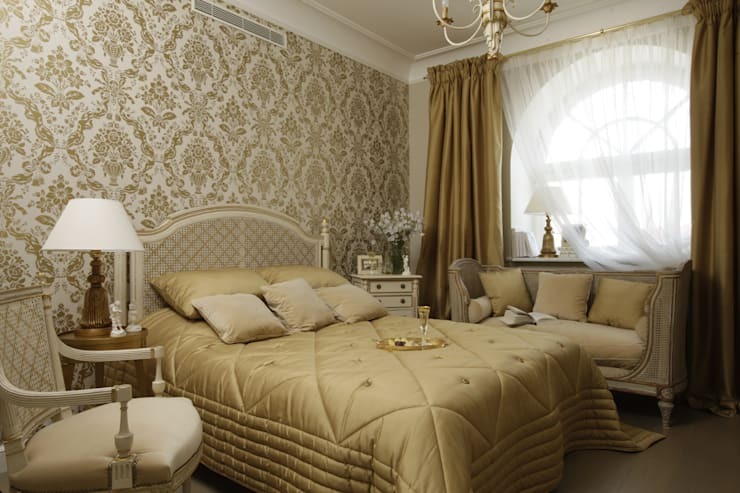 Having touches of gold tone in various places of your home is supposed to bring you wealth—not solely on material terms—and contentment in life. 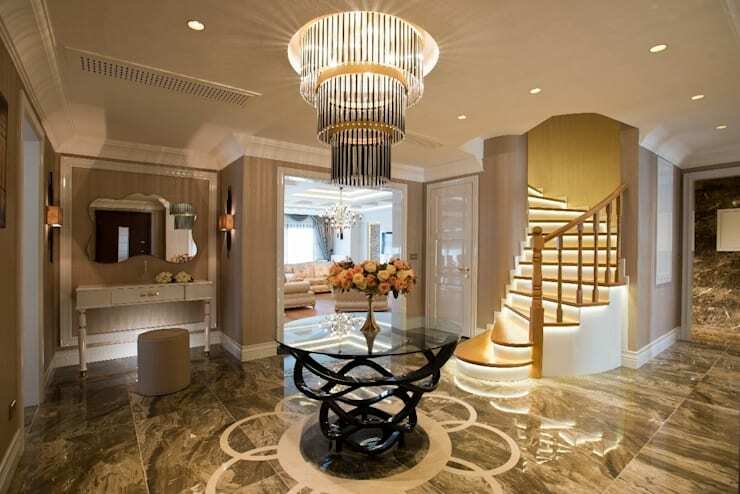 Brass door knobs, gilded mirrors, furniture, pendant lighting, gold coin and golden flower vase will act potent objects for attracting abundance in life. Soft furnishings in golden shade or embroidered with gold thread can give your home a luxurious makeover appropriate to the joyful occasion of the lunar new year. Incorporate wood in your design scheme. This will serve you in more than one ways. Wood will help balance the excessive energy of metallic or other shiny objects. It will naturally create a warm atmosphere where everybody feels at home. Natural texture of wood will give your home an opulent facelift. Premium quality wood, being imperishable for generations, can become an object of unparalleled beauty for any home. It also proves to be a wise investment option. Since natural oak, walnut, rosewood, cherrywood or sandal etc is quite expensive you may opt for the engineered variety. Alternatively, you can consider traditional Asian items of décor that are made of bamboo. Monkey has a special association with chrysanthemums and alliums. Use interior landscaping, vertical gardens or potted plants to enjoy the blessings of nature even within the confinement of your home. You can consider planting peach and orange trees in your garden. Red monkey is attracted by both of them. 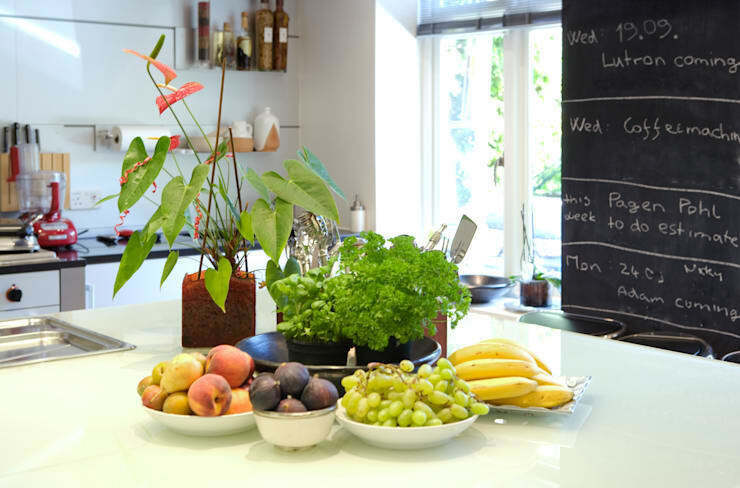 Keep fresh fruits in your kitchen. Place 1, 7 or 8 peaches or oranges in a bowl on your kitchen worktop and do not remove it even after the completion of your day’s work. Oranges being close to golden shade is going to be relevant in more ways than one. Regularly throw away any rotten fruit, vegetable or other inedible items. Keep your living area clean and organised year long. Enjoy a healthy and joyful year ahead.